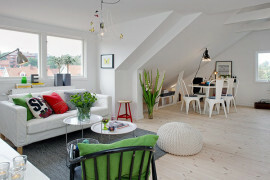 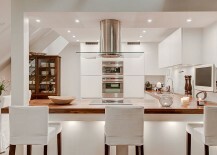 Converting an attic duplex into a cheerful and inviting home requires a fair amount of creativity and smart planning. 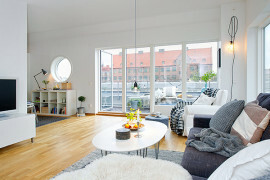 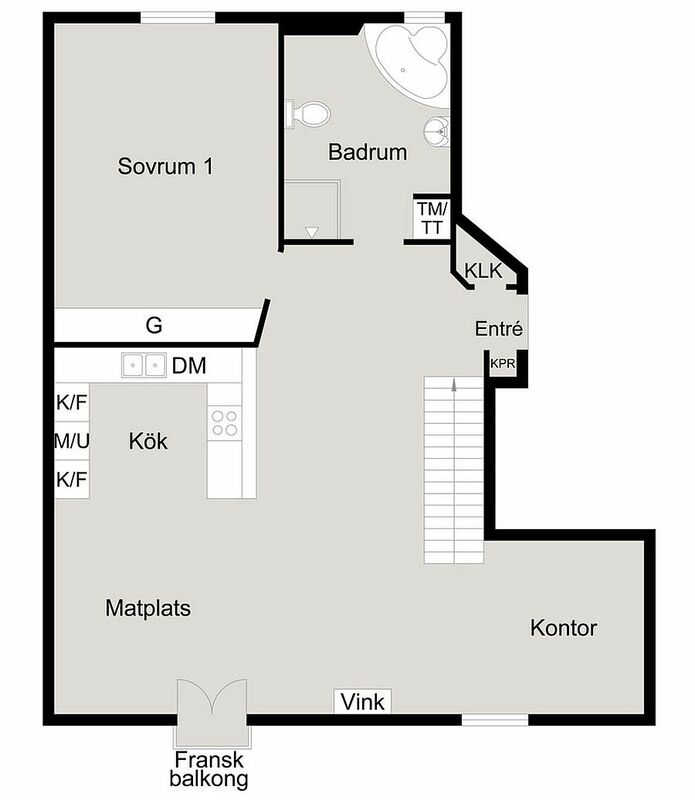 Spread across 1,260 square feet on two levels, this ingenious apartment in Stockholm, Sweden does precisely that as it charms you with its inventive design that brings together Scandinavian elegance and modern aesthetics. 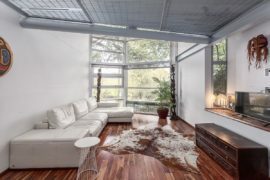 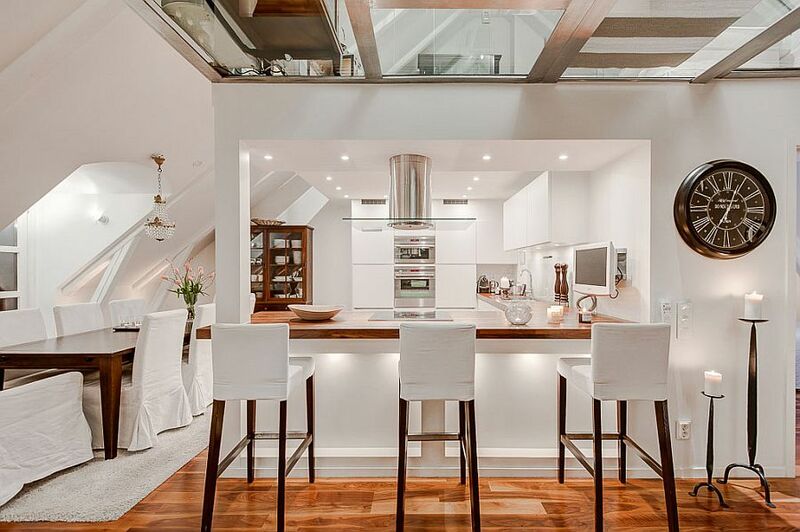 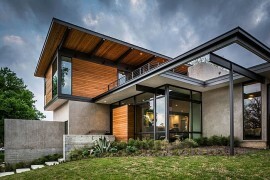 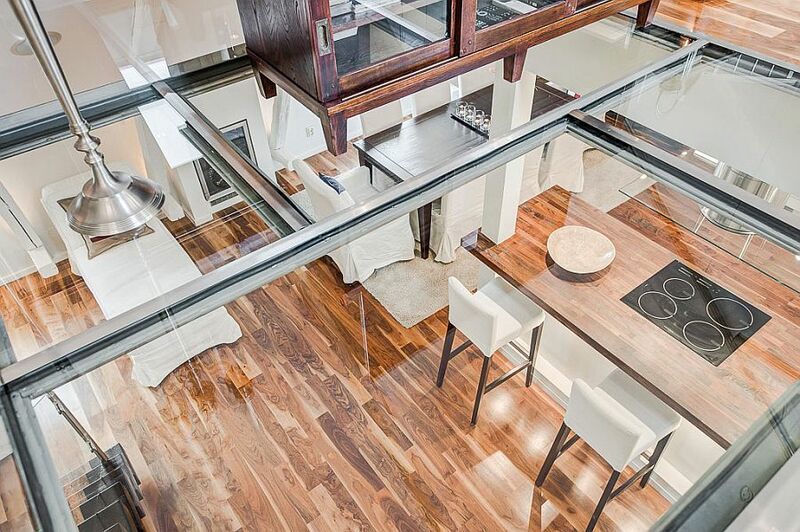 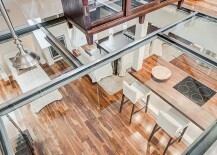 The showstopper of this cool home that we discovered on Tradition is the glass flooring on the top level that not only acts as a stunning ceiling for the entry and living area, but also allows a flood of natural light to seep through to the lower level. 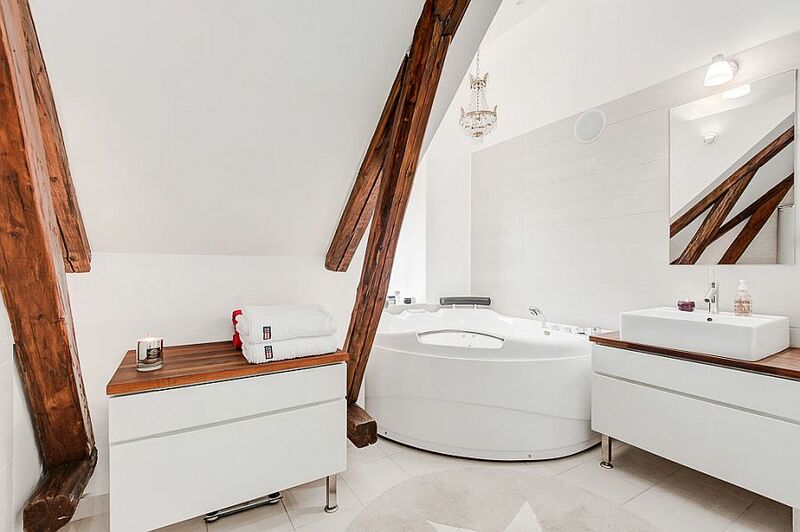 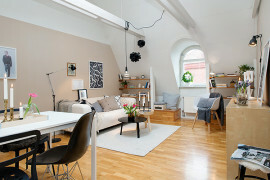 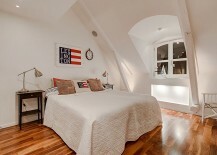 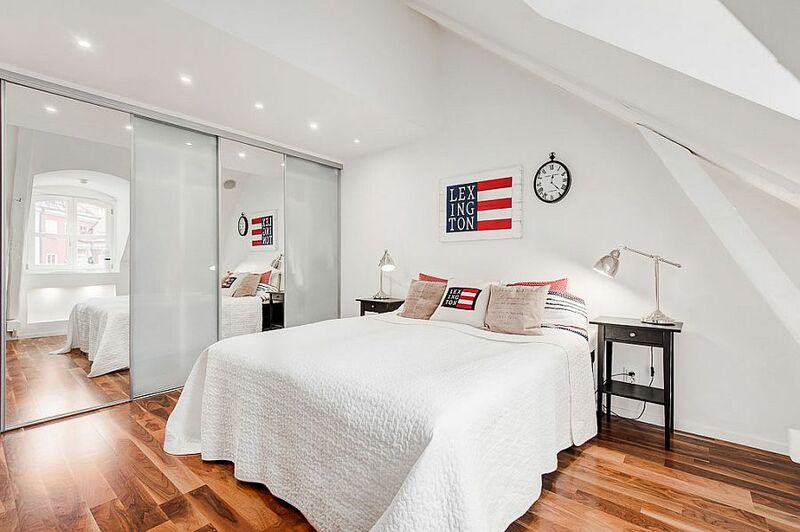 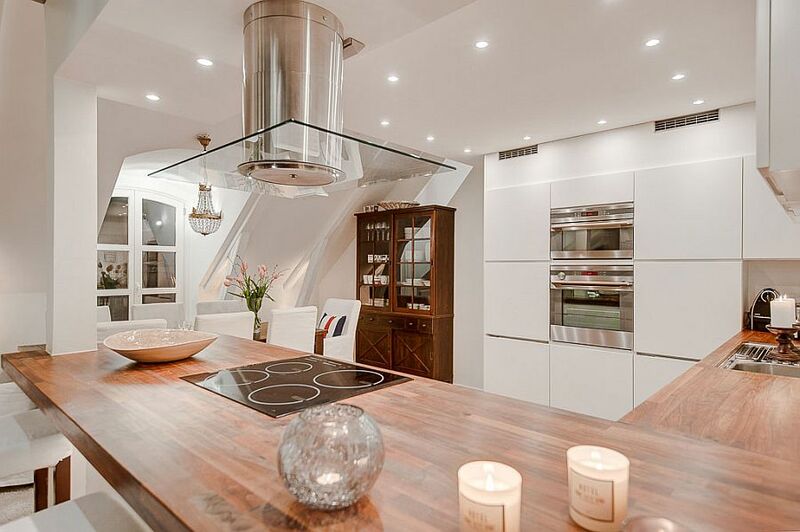 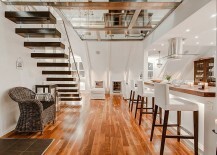 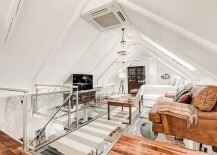 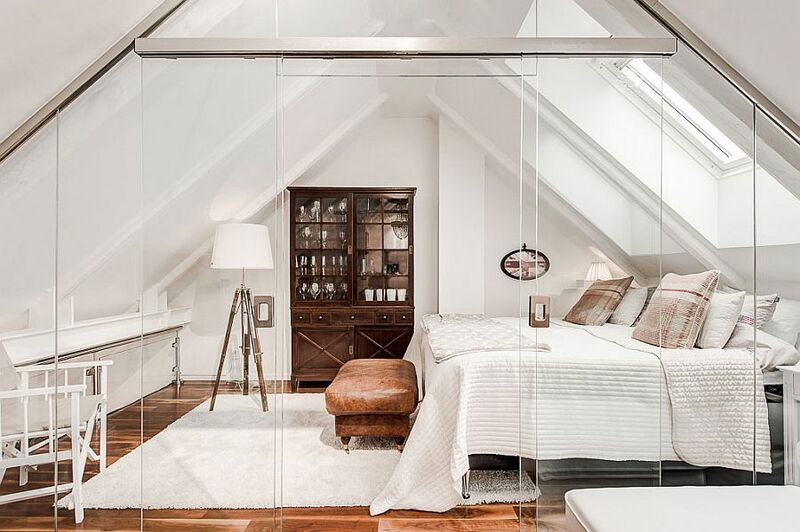 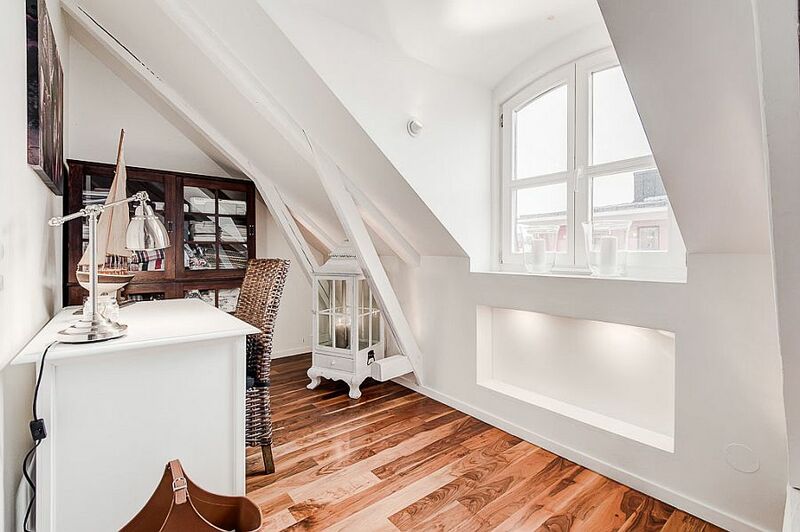 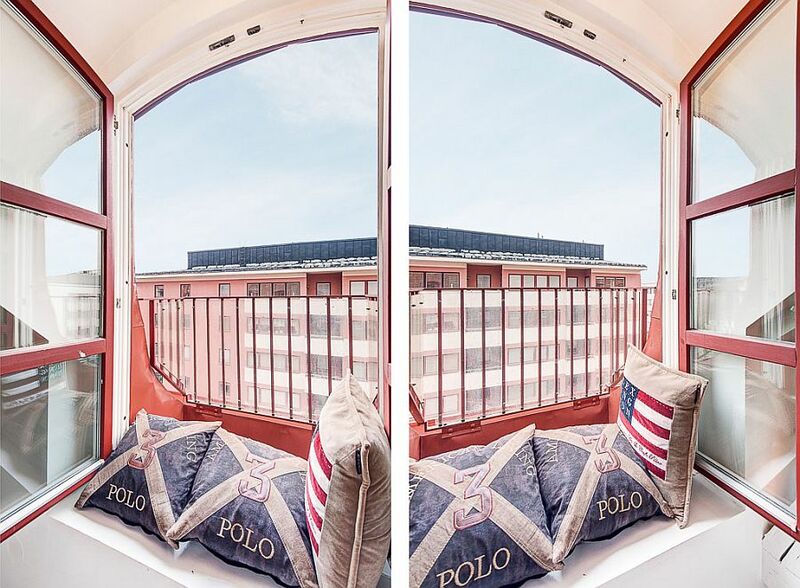 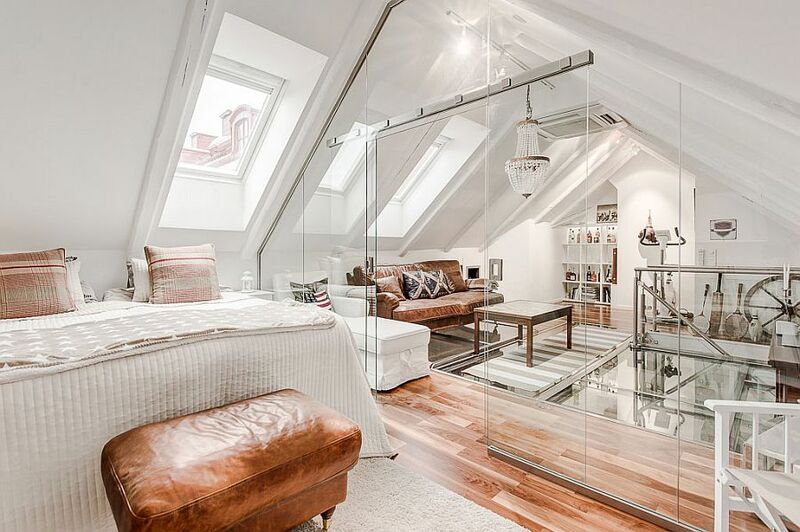 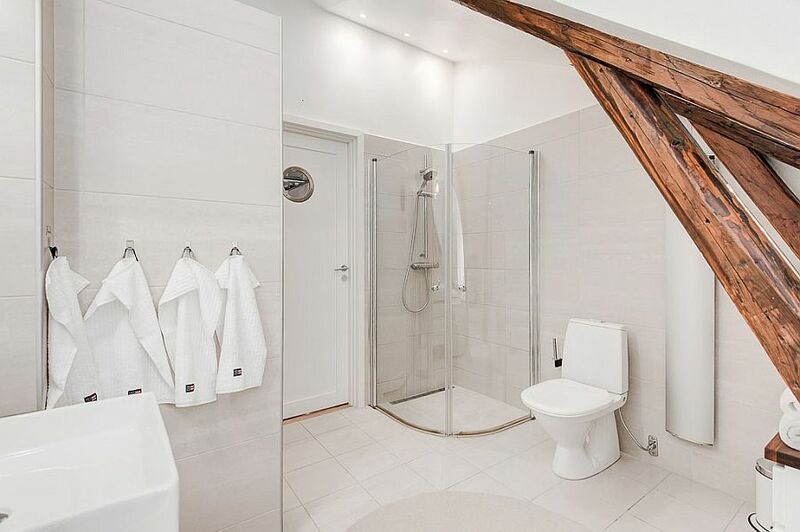 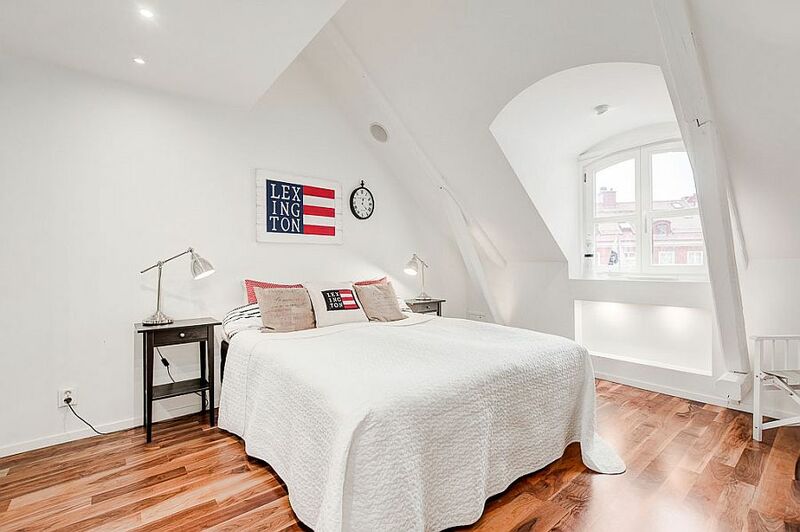 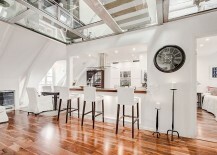 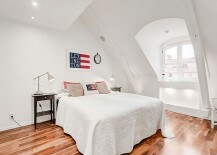 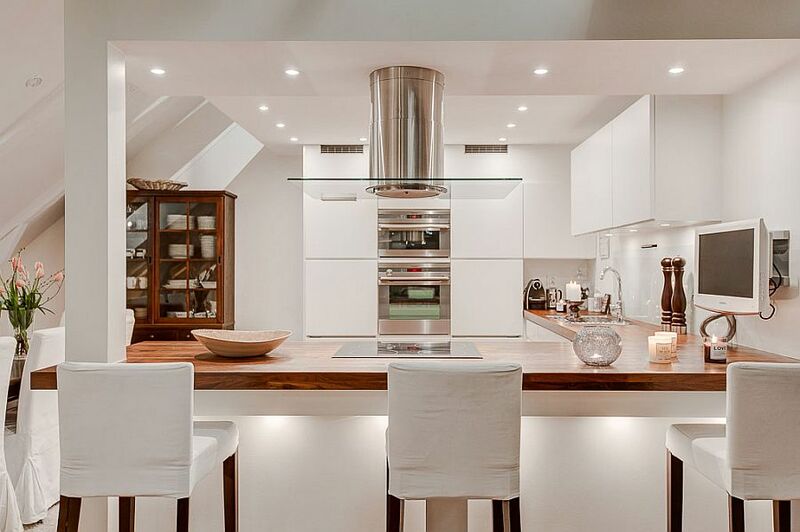 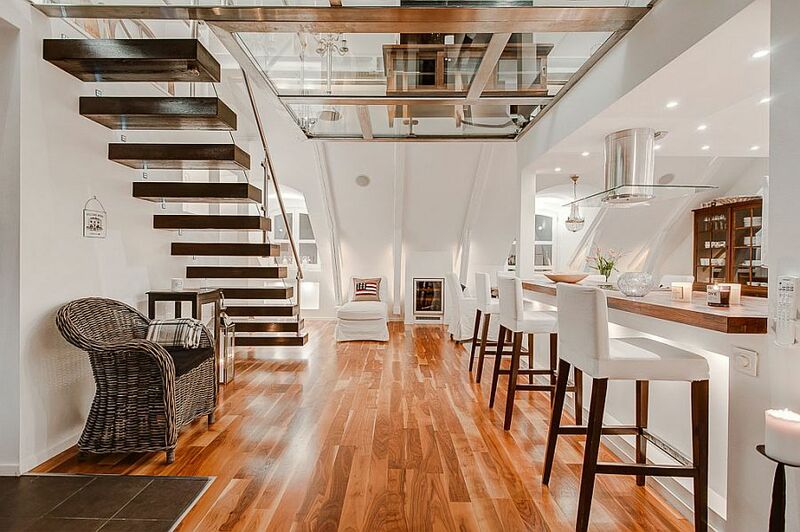 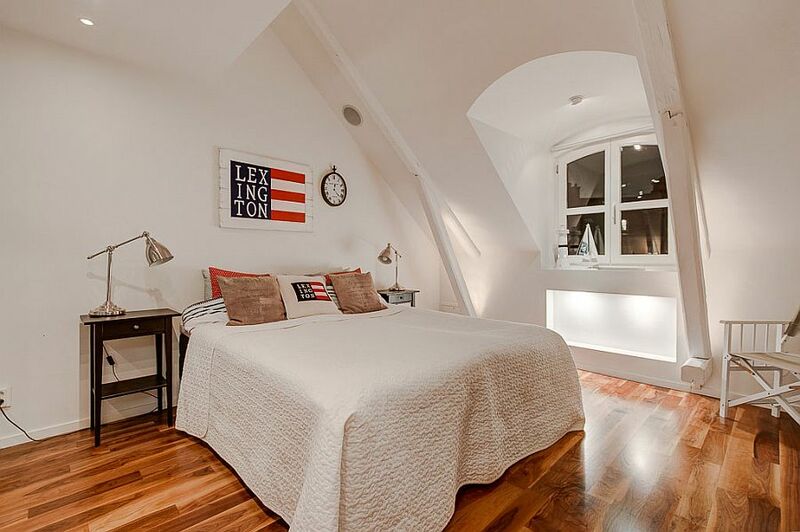 But this gorgeous attic apartment offers much more than this captivating highlight! 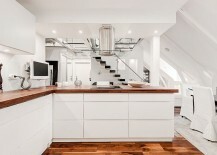 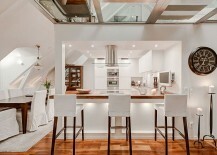 White is the hue of choice throughout the home, and rarely is this color palette disturbed throughout the interior. 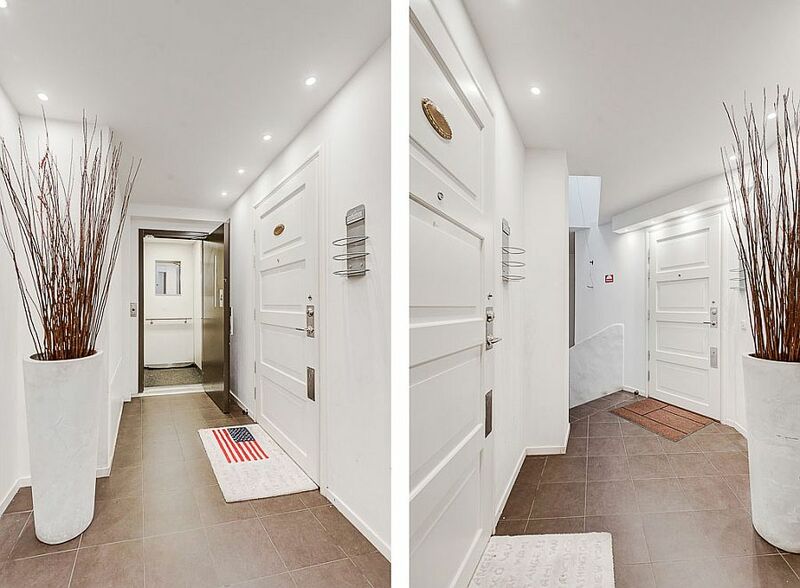 By using a single neutral color for the backdrop, visual fragmentation of the interiors is avoided, and each space seems to flow into the next. 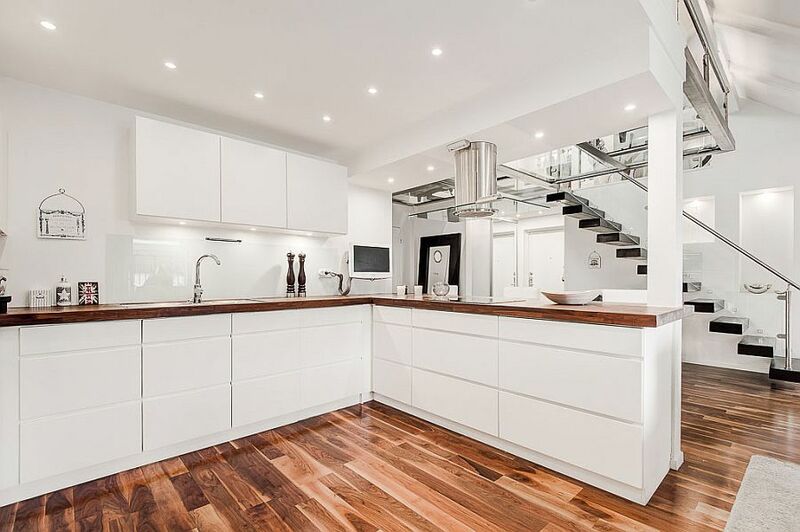 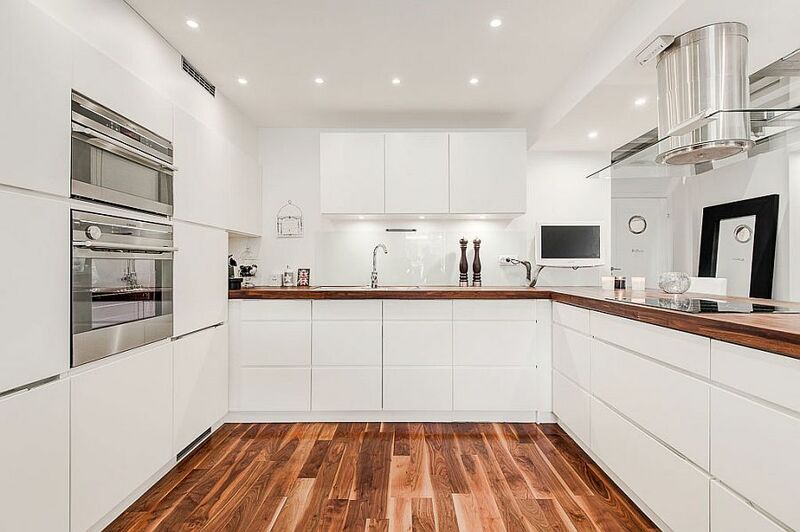 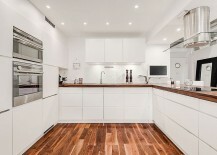 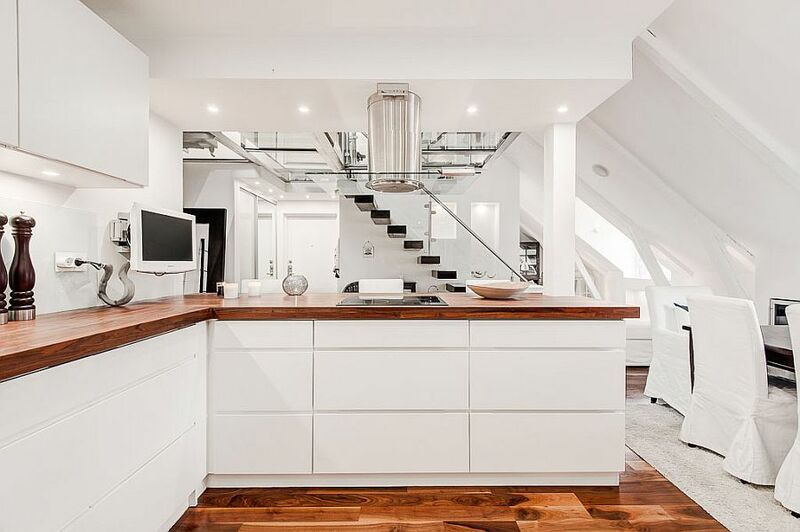 The lower level of the apartment holds the exquisite kitchen with sleek white shelves and wooden countertops, a dining room that matches the beauty of the kitchen, a home office that is small and ergonomic, and a bedroom and bathroom. 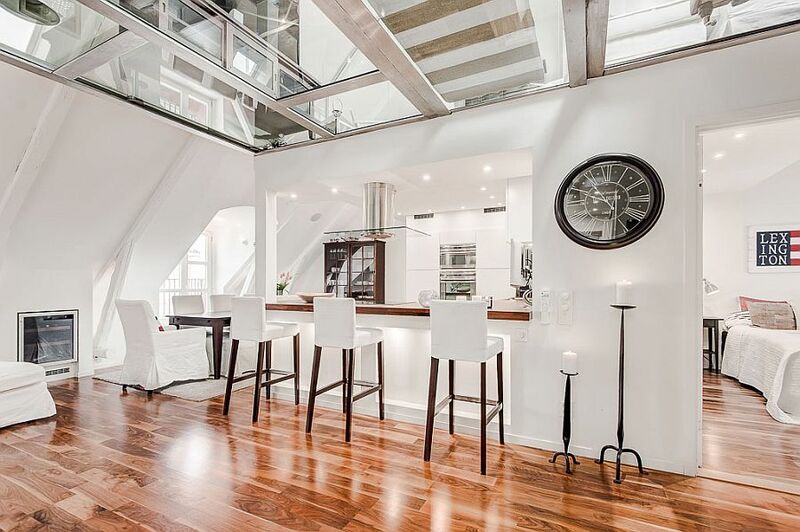 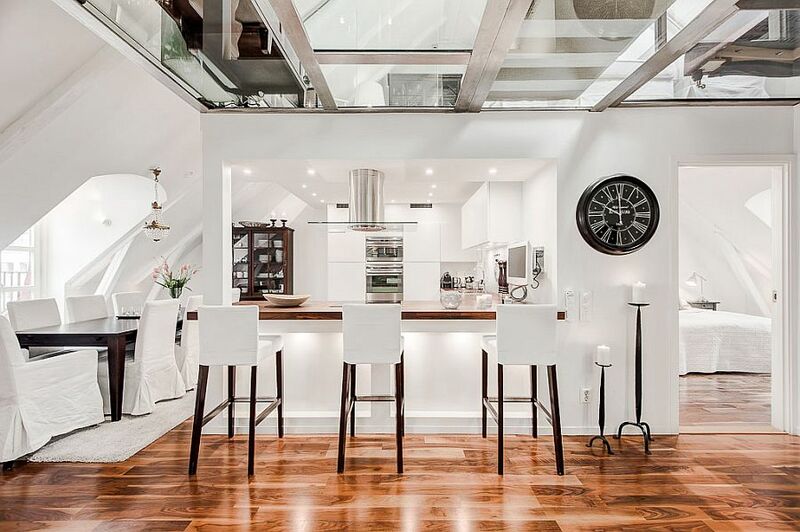 A contemporary floating staircase in white leads to the top level that houses the sitting area/TV room and a second bedroom that offers stunning views of Stockholm’s skyline. 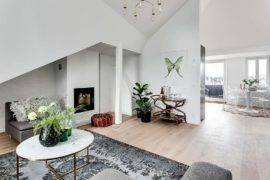 One can see the timeless allure of Scandinavian design ooze through the various spaces in the apartment, even as modern minimalism adds to the relaxed ambiance. 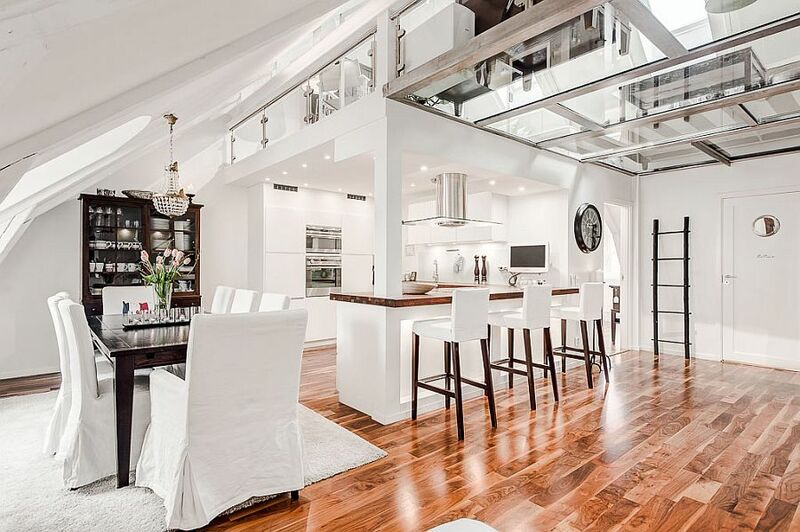 Warm wooden flooring and ceiling beams give each room its own individual personality, while glass brings along with it a hint of contemporary charm. 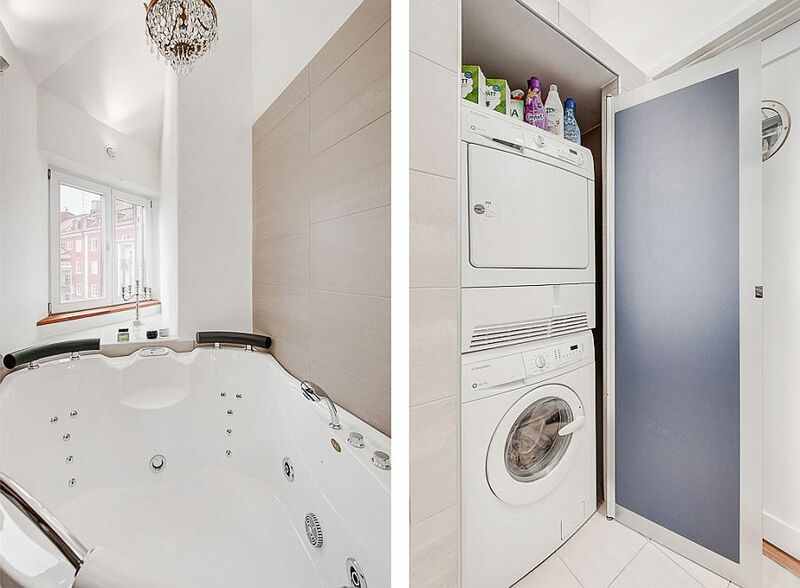 Stylish, space-conscious and resourceful to the core!